Google Chrome has useful feature of popping language translation bar while browsing non-default language websites in Chrome. This translation bar indicate the current language of the webpage and user can click translate button for quick language translation into his default browser language. However, few users may find this feature annoying and may want to disable / turn off language translation bar. 2. 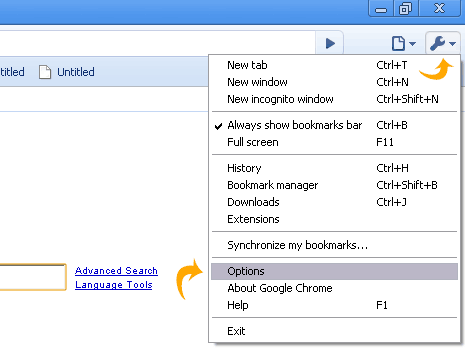 Click ‘Under the Hood’ tab on Google Chrome options window. 3. Then click to uncheck (no tick) option “Offer to translate pages that aren’t in a language I read”. Click on Close button. From now on, Chrome will not show language translation toolbar while browsing webpages.